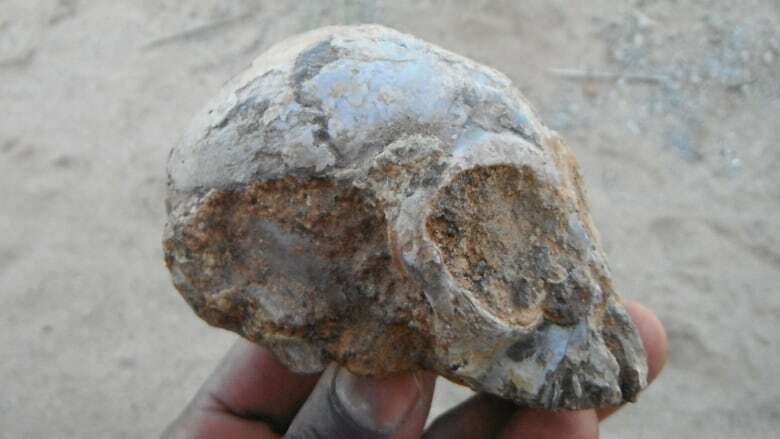 The lemon-sized fossil skull of an infant ape nicknamed Alesi that inhabited a Kenyan forest about 13 million years ago is offering a peek at what the long-ago common ancestor of people and all modern apes may have looked like. Scientists on Wednesday announced the discovery of the most complete extinct ape skull fossil ever found, allowing them to study such characteristics as its brain cavity, inner-ear structure and unerupted adult teeth beneath the roots of its baby teeth. With its small snout, the skull resembles that of a gibbon, a small ape found in Asia. But the balance organ inside its inner ear differed from gibbons and suggested Alesi's species moved through trees more cautiously and had shorter arms than gibbons, which swing through trees with acrobatic ease. The skull may answer a long-standing question about the origin of the lineage that led to people and modern apes such as chimpanzees, gorillas, orangutans and gibbons, indicating their common ancestor evolved in Africa, not Eurasia, the scientists said. Many fossils depict the evolution that has unfolded since the narrower lineage that led to people split from chimpanzees, our closest evolutionary cousins, 6 to 7 million years ago. Our species, Homo sapiens, appeared approximately 300,000 years ago in Africa. Fossils more than 10 million years old that could illuminate the evolution of the common ancestors of people and modern apes are rare, often just scrappy teeth and jaw bones. 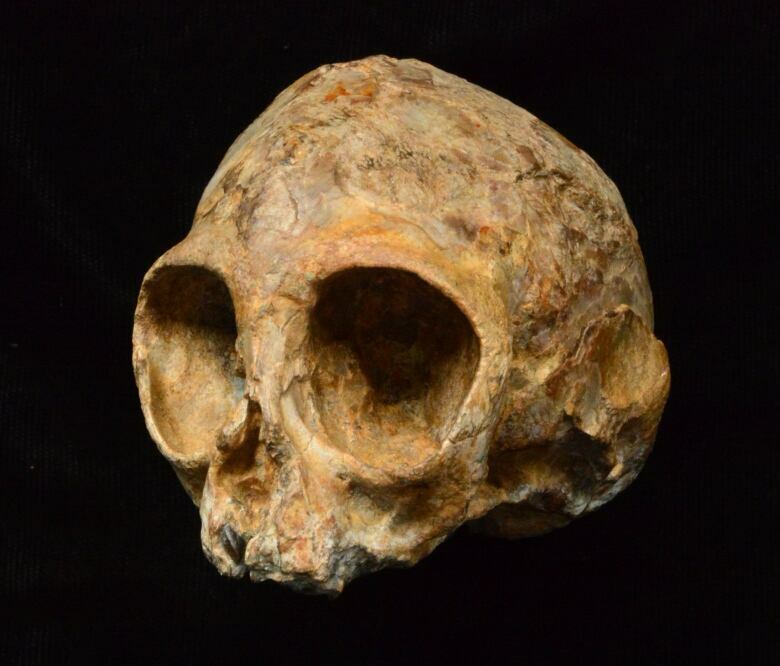 That is why this fossil, unearthed west of Lake Turkana in northern Kenya, is considered a revelation. "I appreciate just how difficult it is to find something like this. So when we found this, I was over the moon. I still am over the moon," said paleontologist Isaiah Nengo of New York-based Stony Brook University's Turkana Basin Institute and California's De Anza College. The name Alesi derives from "ales," meaning "ancestor" in the local Turkana language. It belonged to a new species called Nyanzapithecus alesi that was closely related to the common ancestor of people and modern apes although that ancestor likely was even older, University College London paleontologist Fred Spoor said.